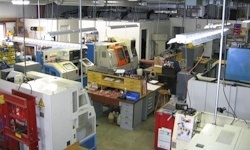 At A & T Machining, we have a reputation for perfection that has been the foundation of our company for over 21 years. That's why we guarantee our work 100%. That guarantee, and our policy of 100% inspection for critical dimensions insures that your parts will be right the first time. This is vital when you bring us your rush job and you're relying on us to provide quality, and not just a quick turnaround. But we're also a full-service shop that can take care of all plating, heat treating, anodizing, and finishing required on all parts. 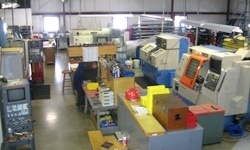 We're also experts at machining all types of materials including aluminum, plastics, steel, and stainless steel using either our 3-Axis CNC lathes or our CNC mills. Thanks to that expertise, we are currently in demand for a wide variety of industries from automotive to aerospace to medical companies. 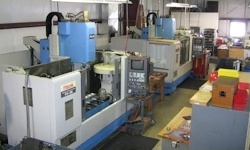 And our expanding arsenal of CNC machines insures that our pricing will always be competitive. We realize that any company hoping to win your business for machined products will have to prove itself to you both in quality and in service. I'm hoping that you will give us the chance to do just that by letting us quote some upcoming jobs that you are sending out for bids. if you have a rush job and you need a quote quickly, you can also contact me personally at 734-649-7370, evenings and weekends.